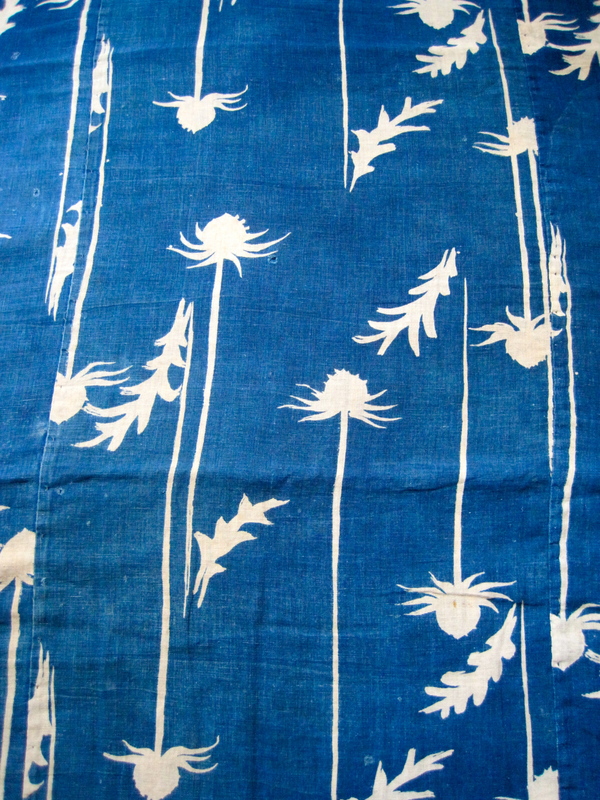 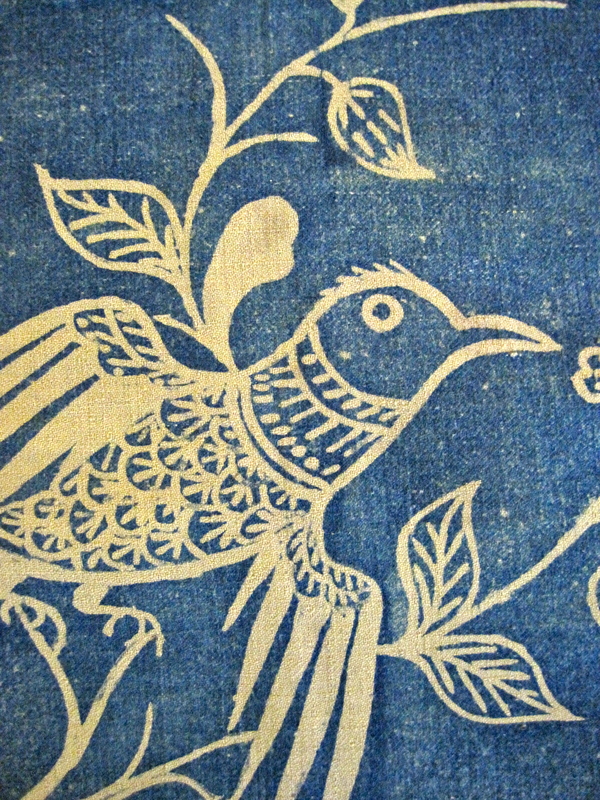 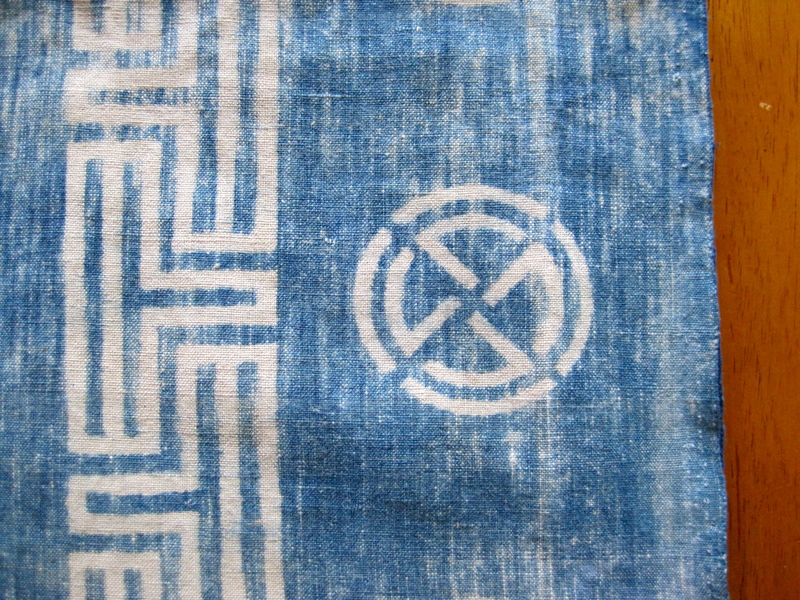 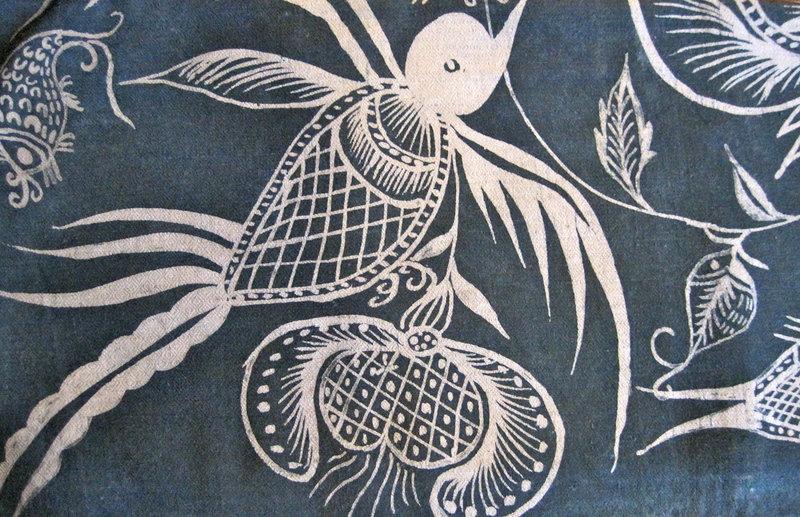 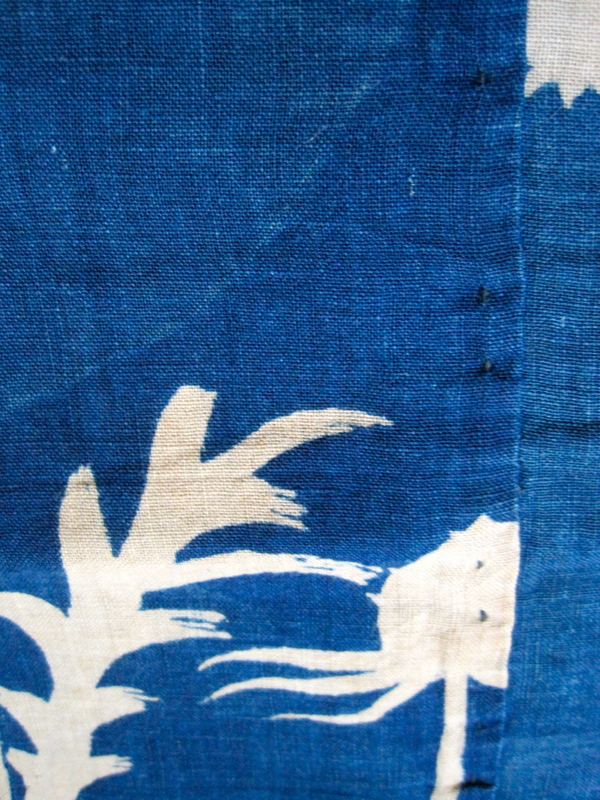 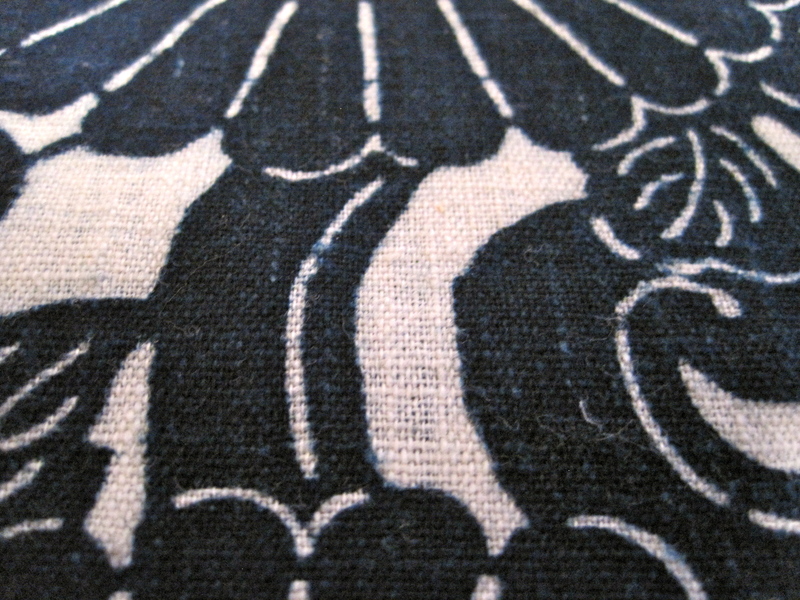 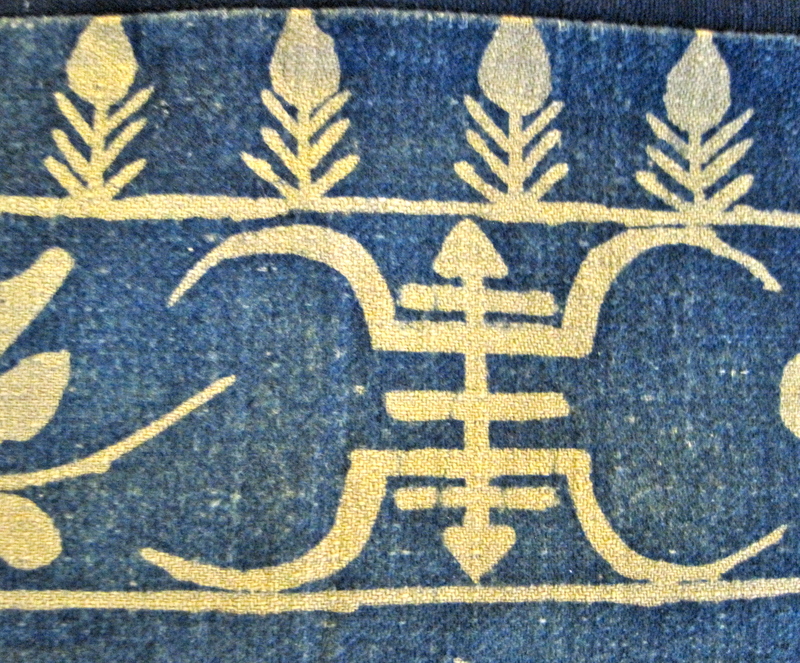 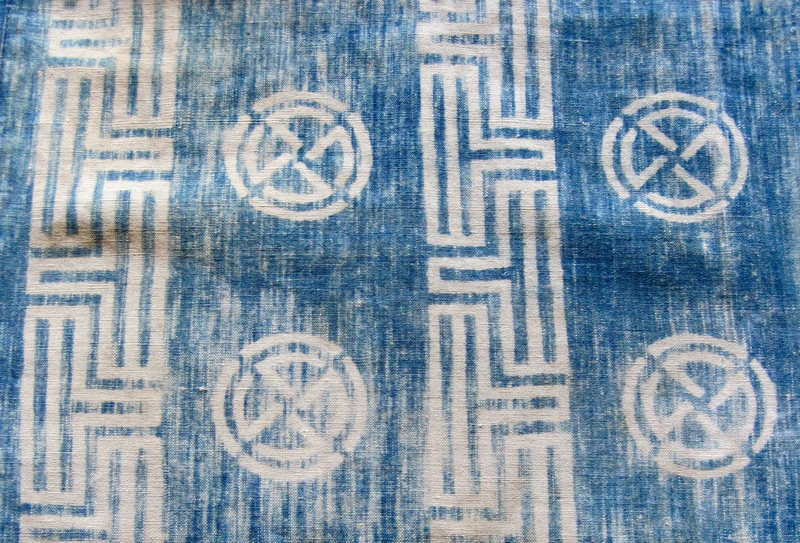 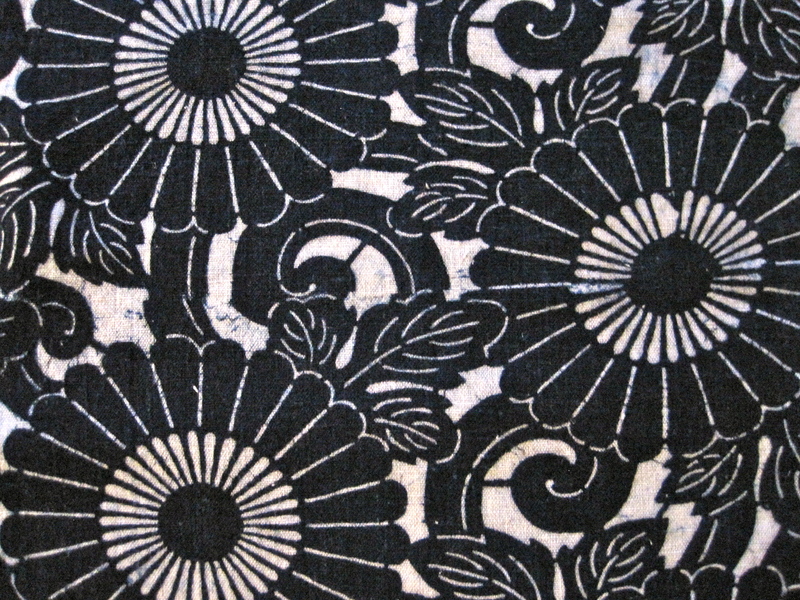 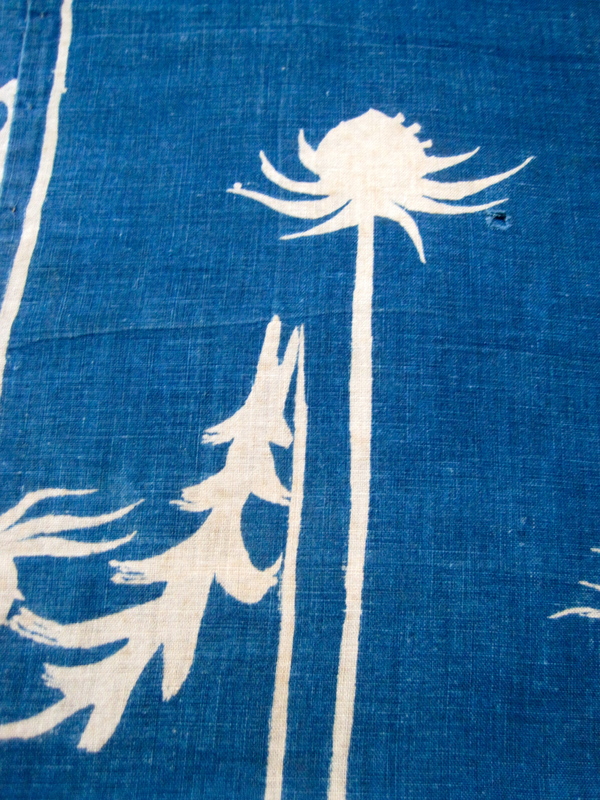 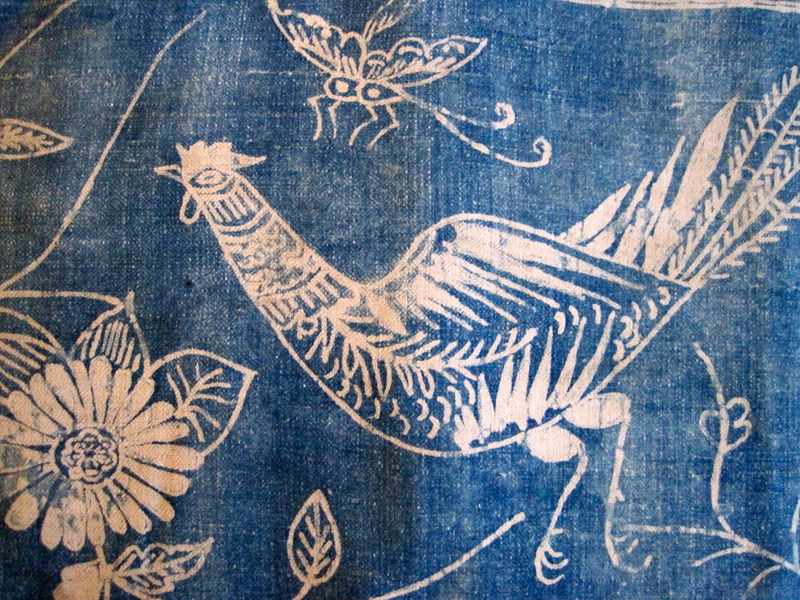 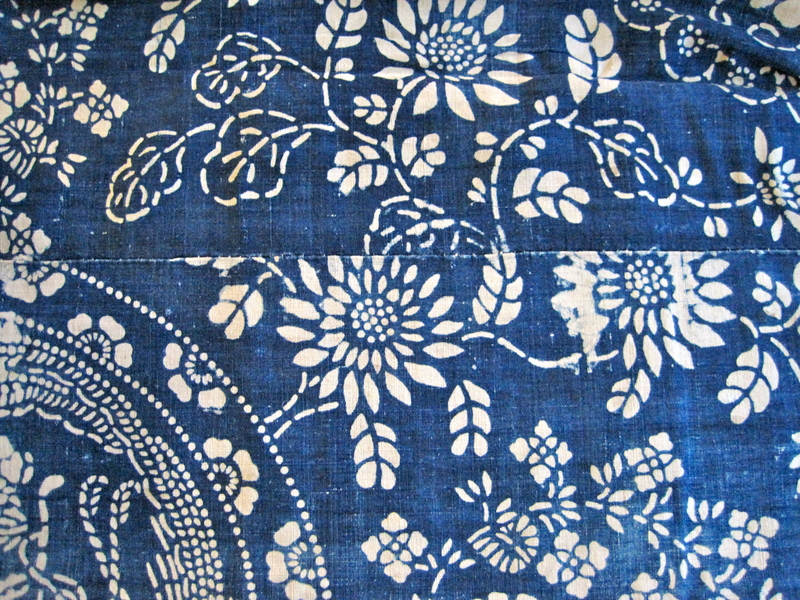 These images come from six antique Miao blankets. 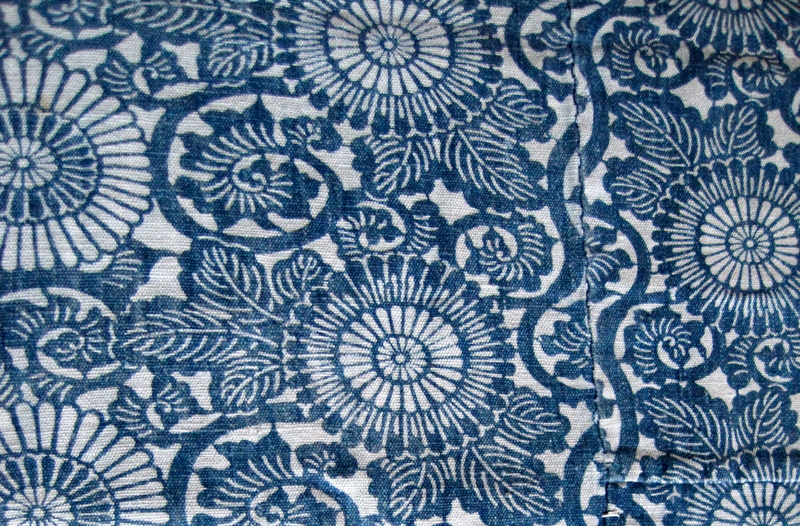 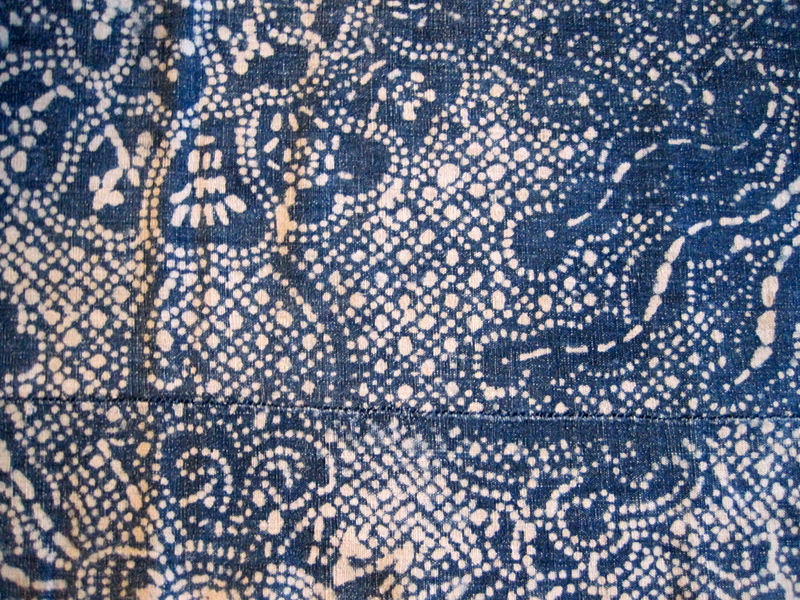 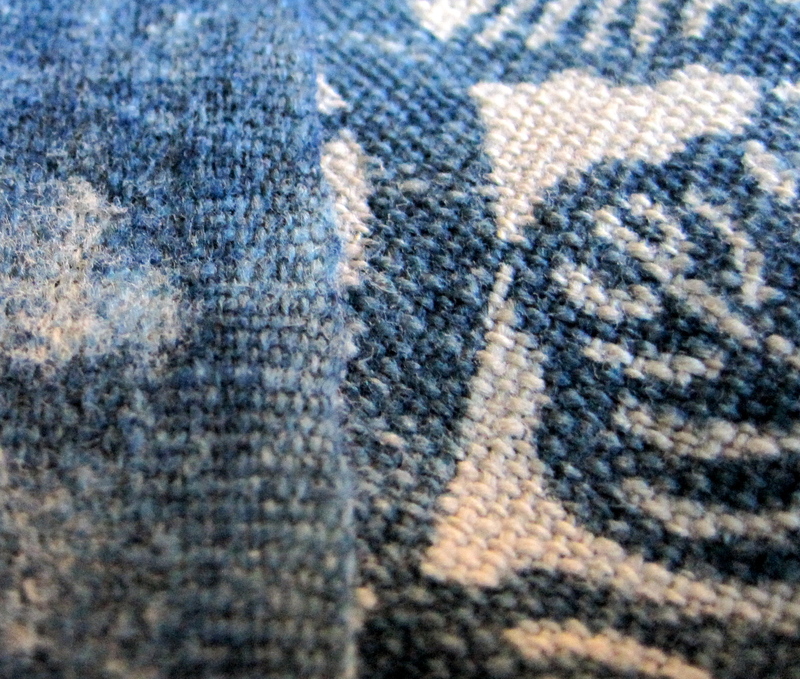 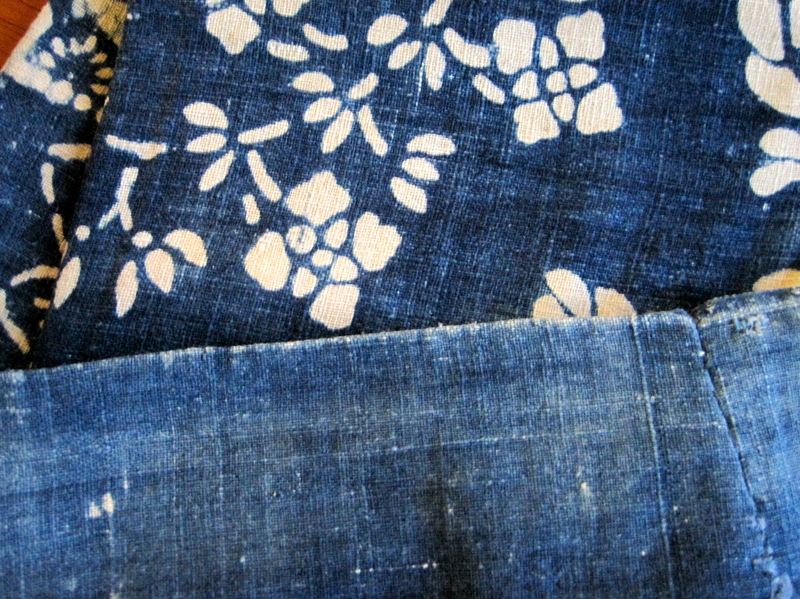 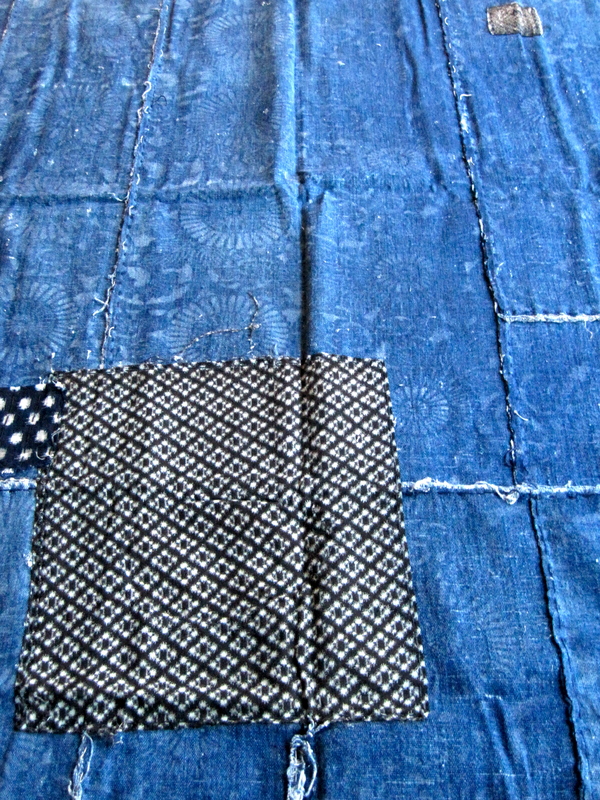 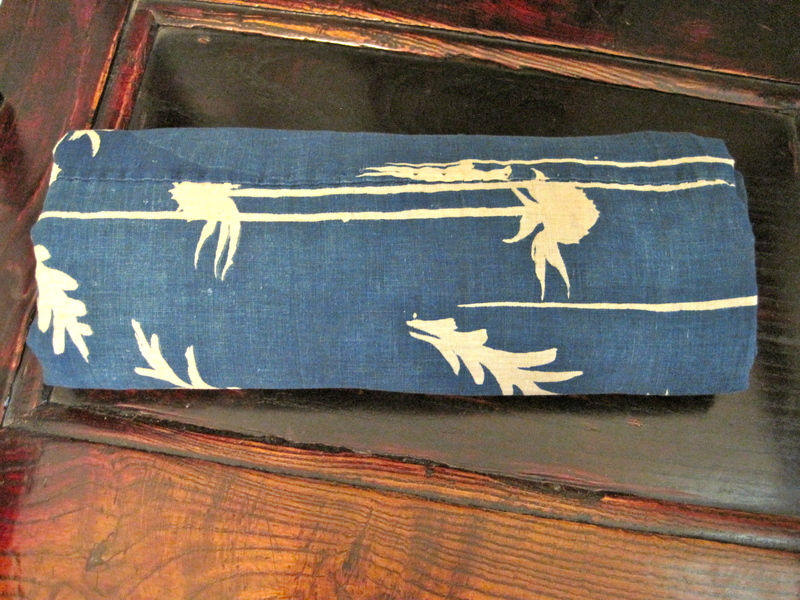 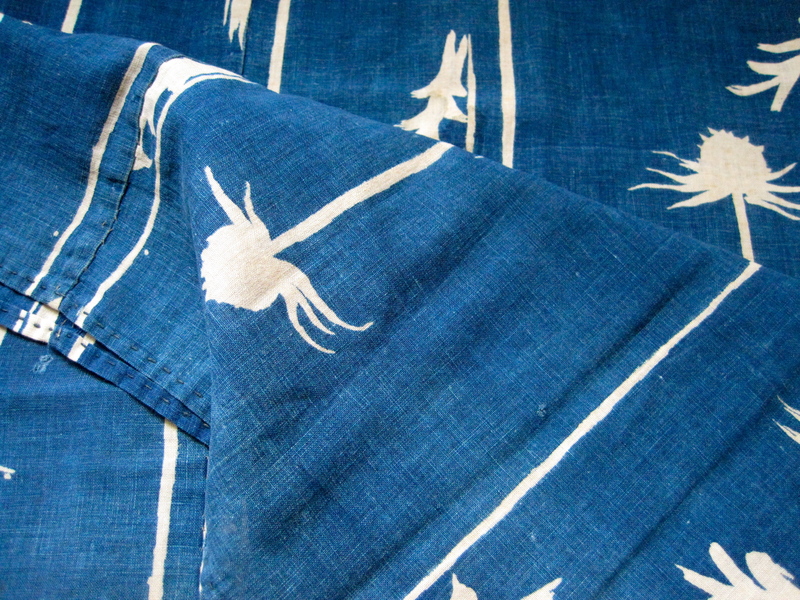 all of the blankets are cotton and they have all been dyed using indigo. 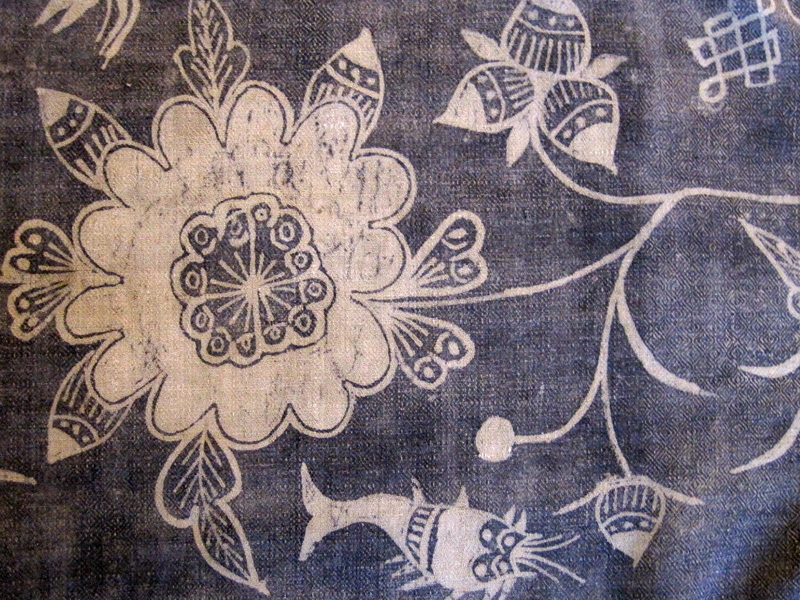 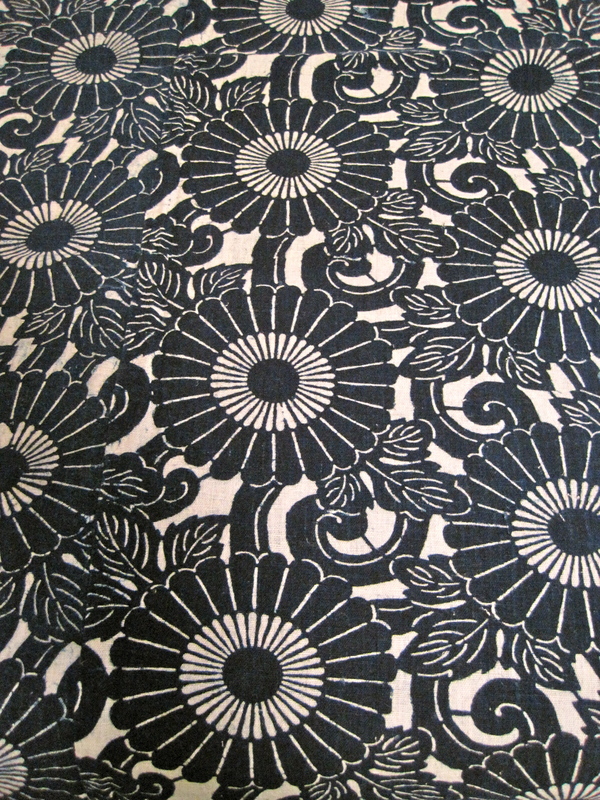 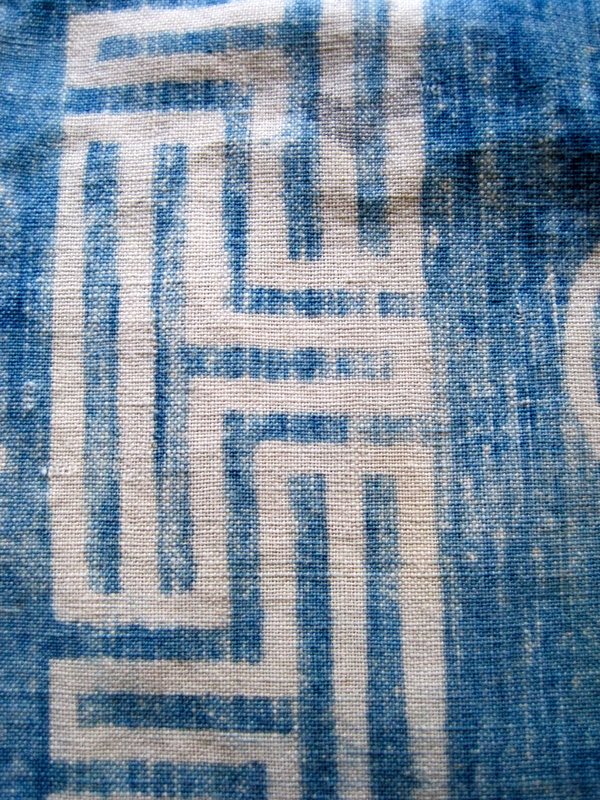 Freehand drawing and stencil methods of resist dying have been employed to create the designs on these blankets. 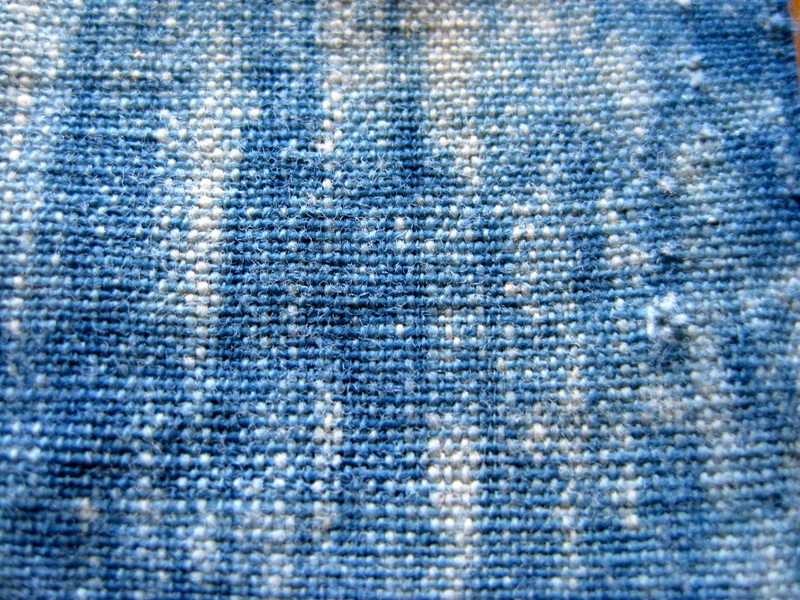 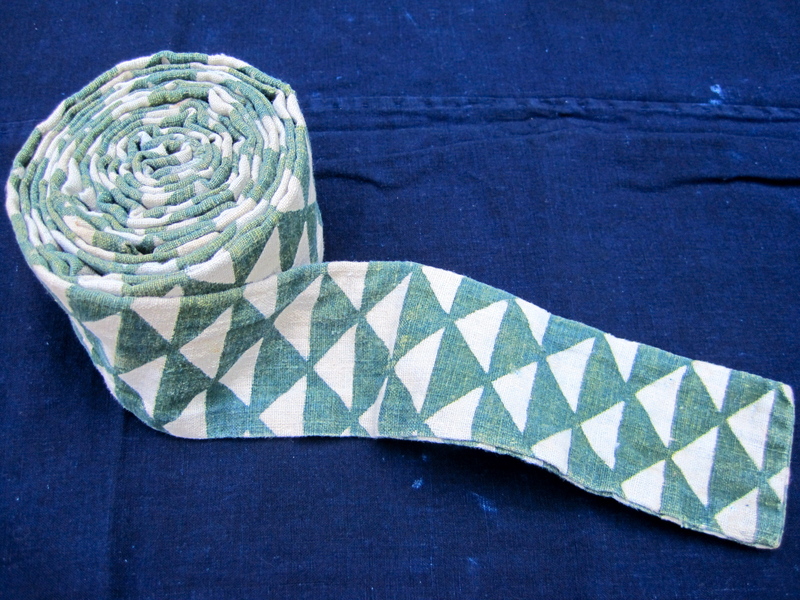 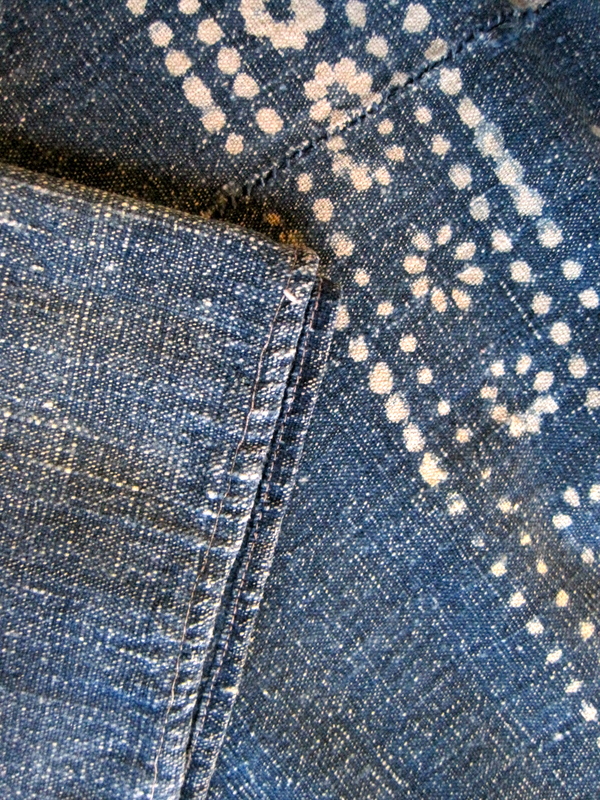 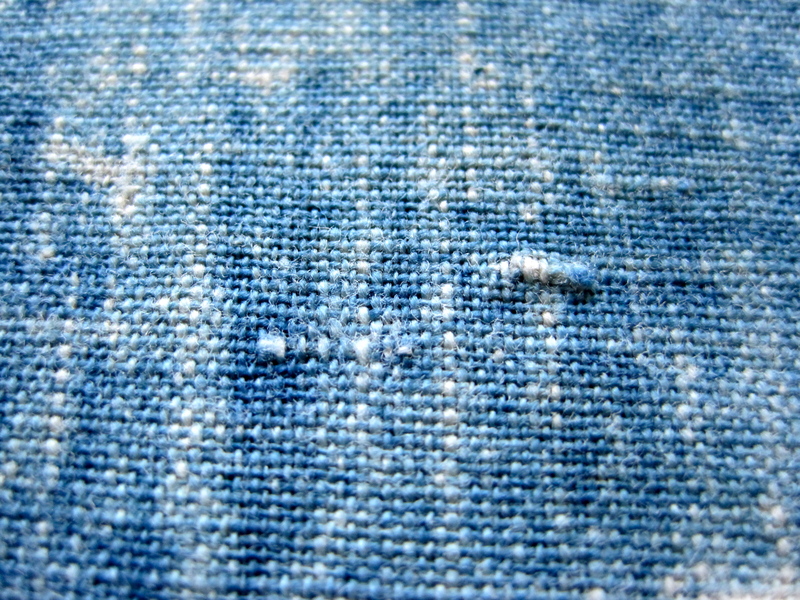 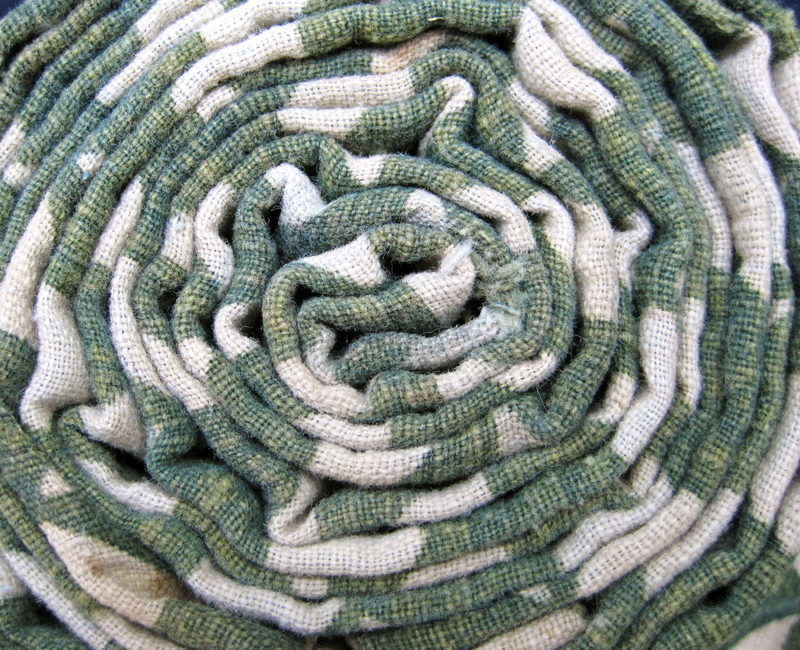 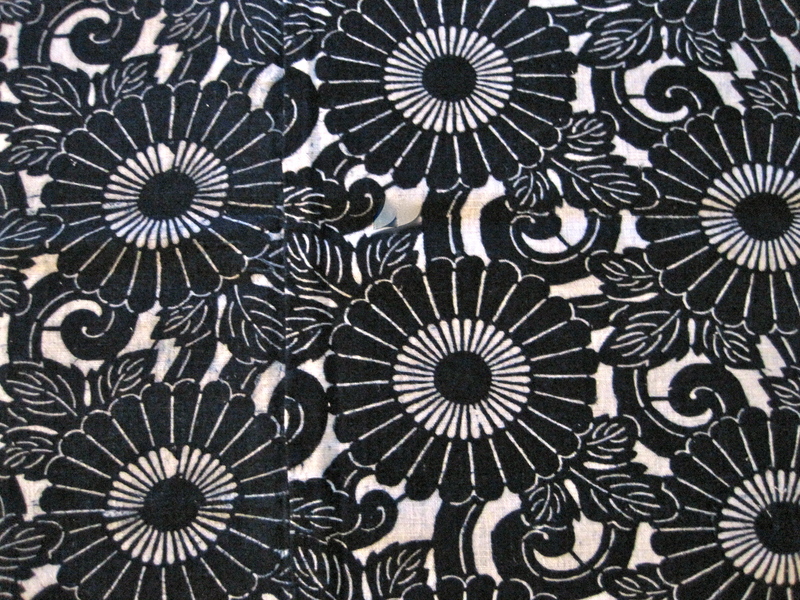 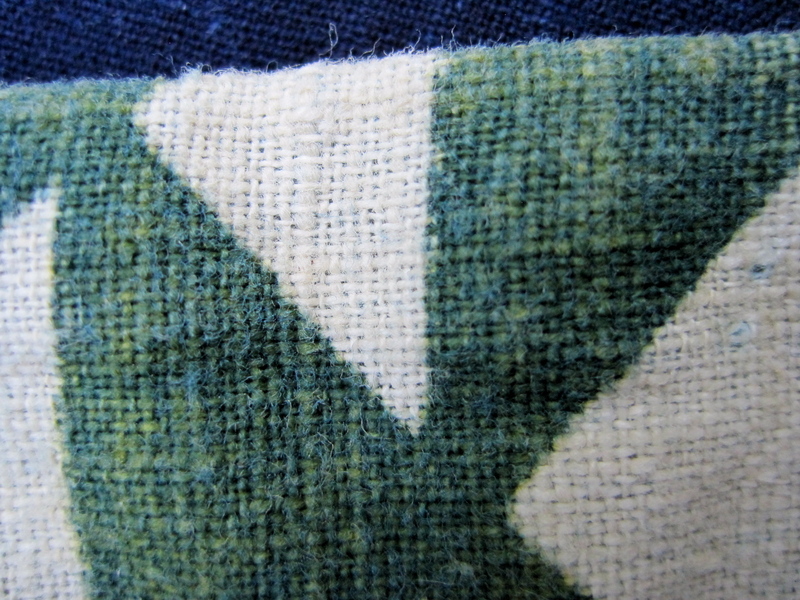 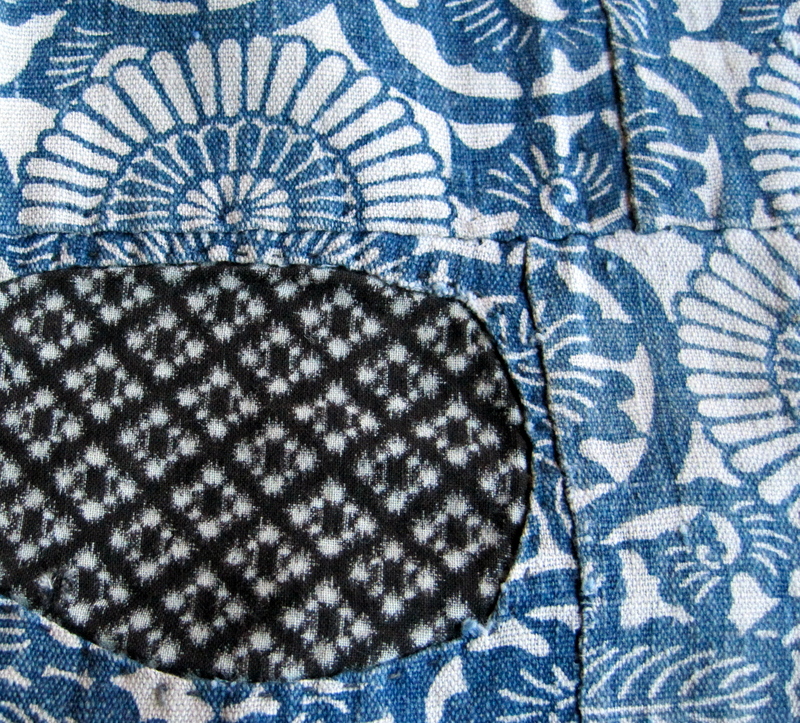 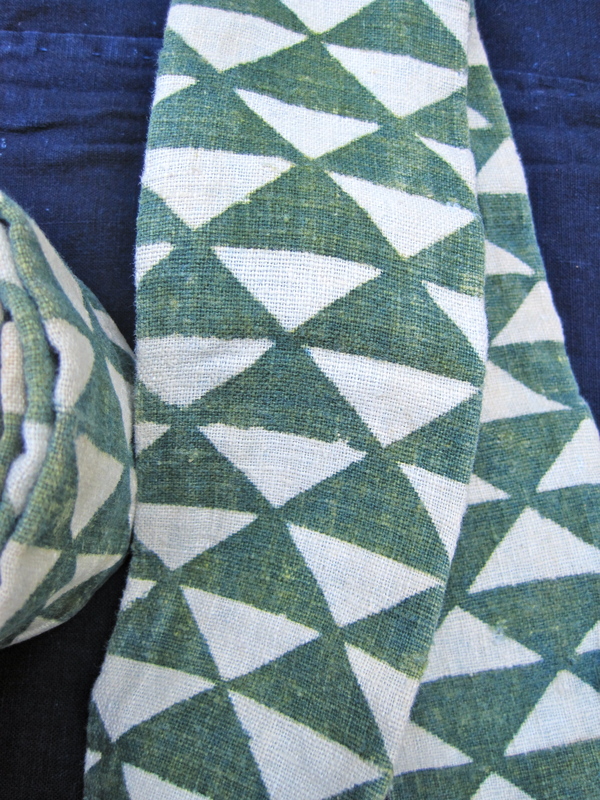 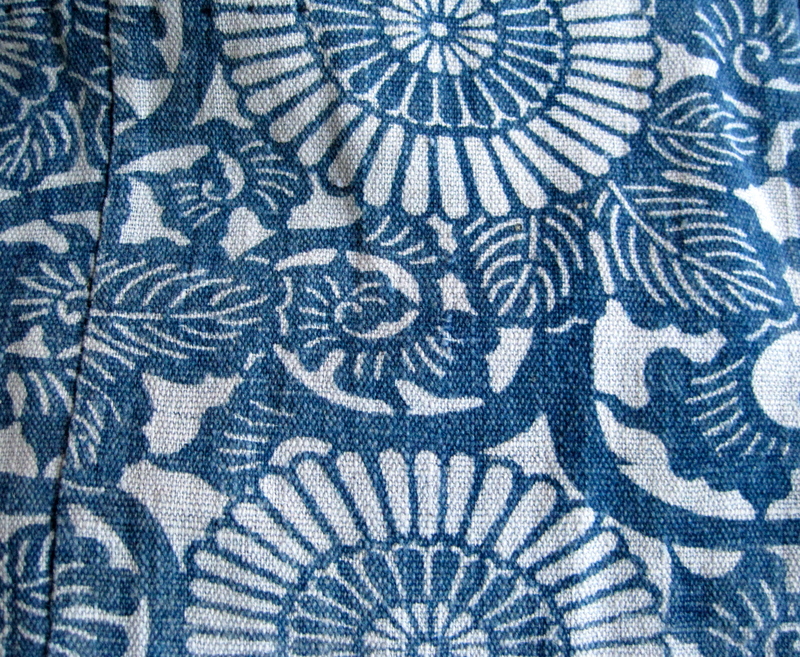 two different weaving patterns have been used to create the cotton base fabrics. 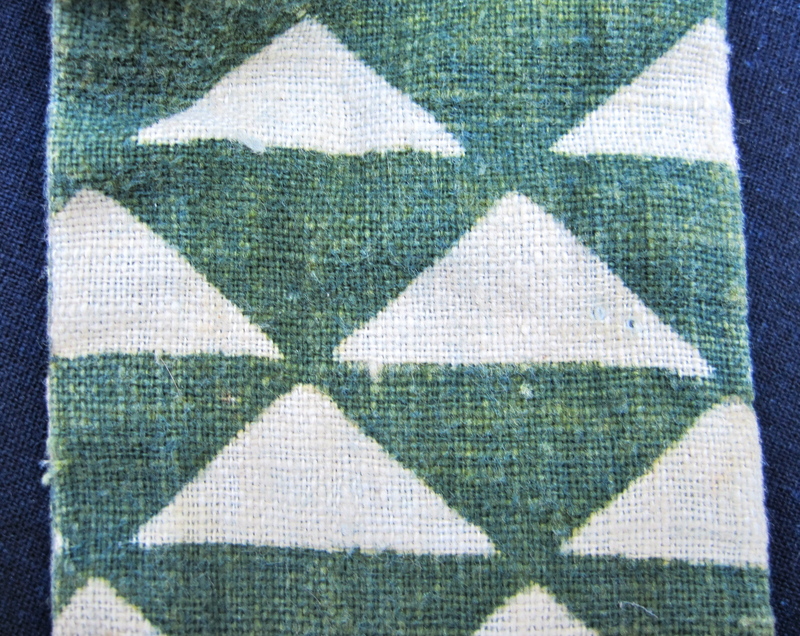 The two older blankets are woven with a plain weave and the four remaining have a diamond pattern that is traditional to the Miao of Guizhou provience, China. 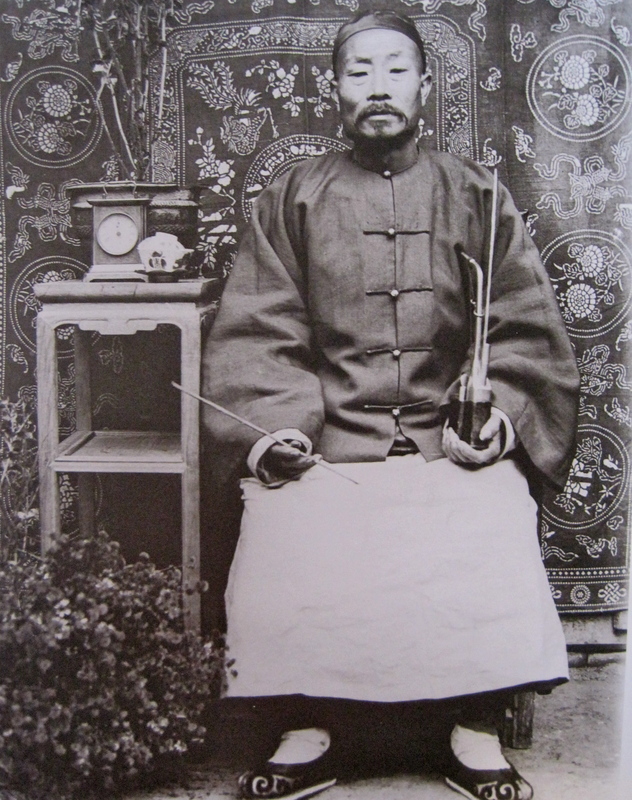 This photo comes from a book titled Lost China. 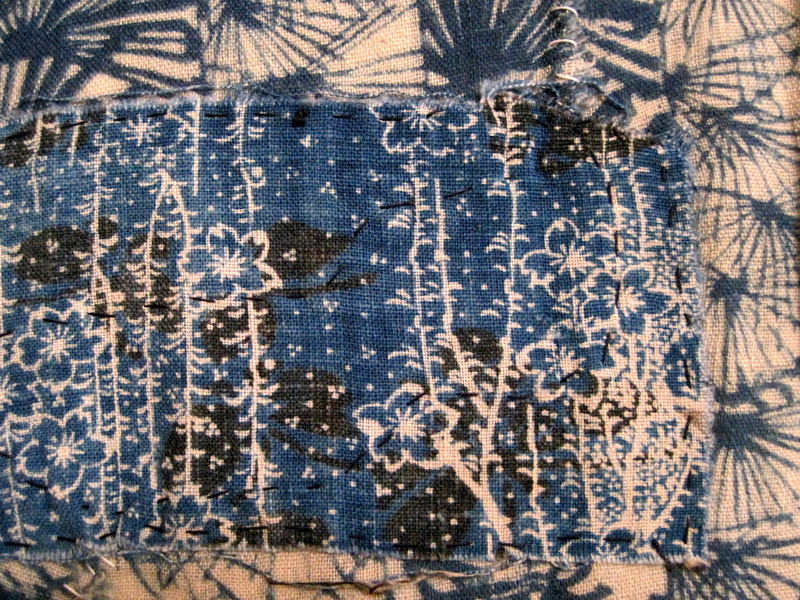 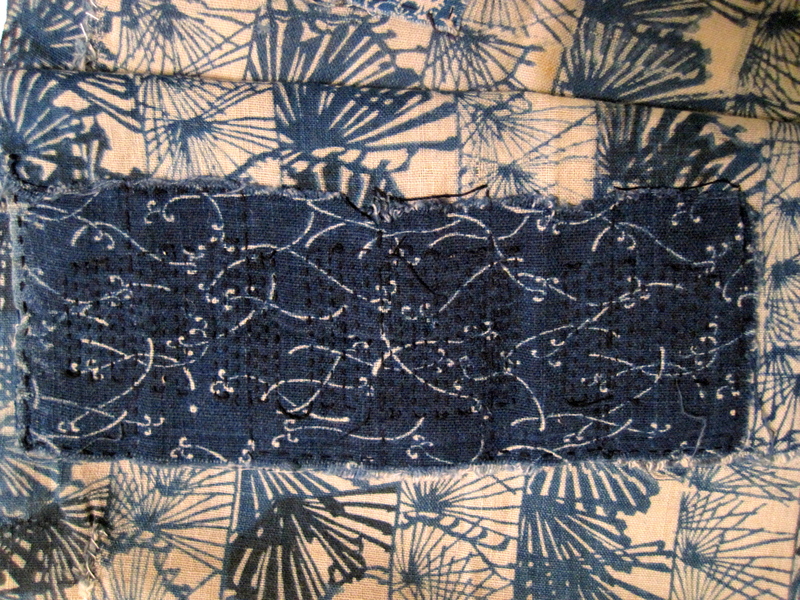 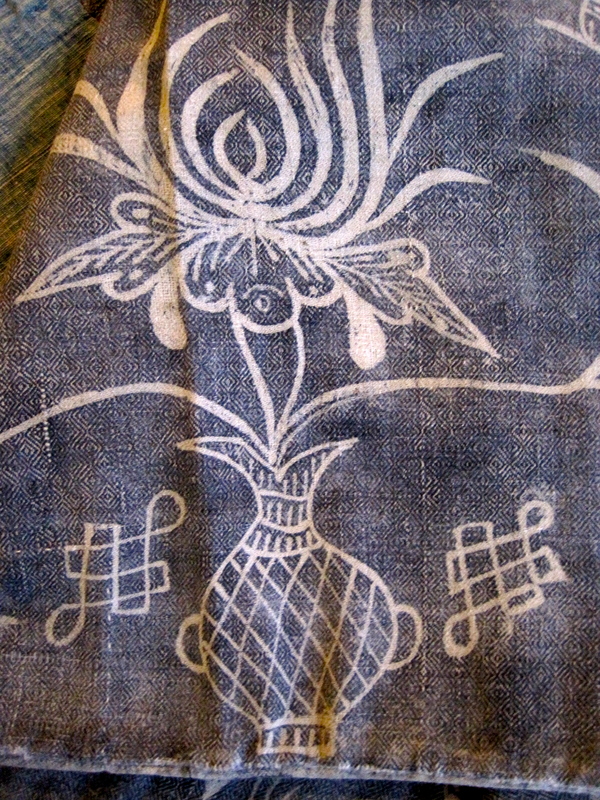 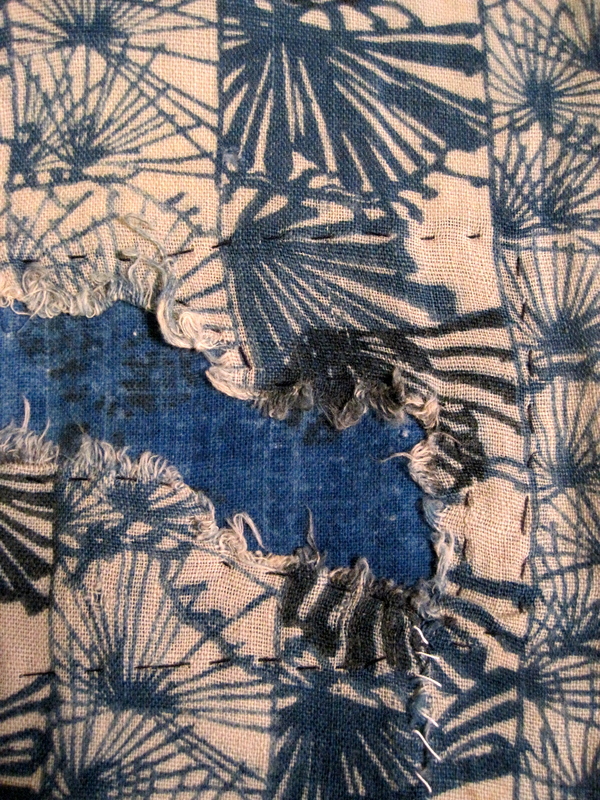 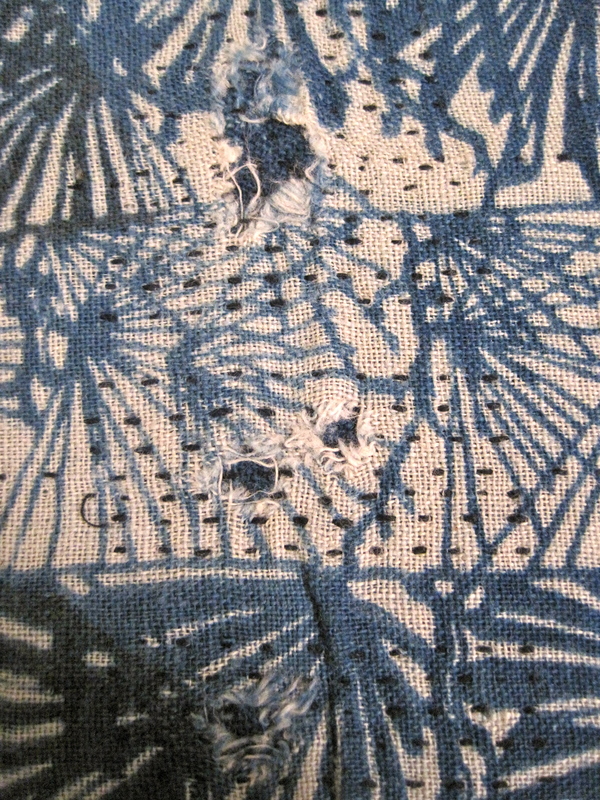 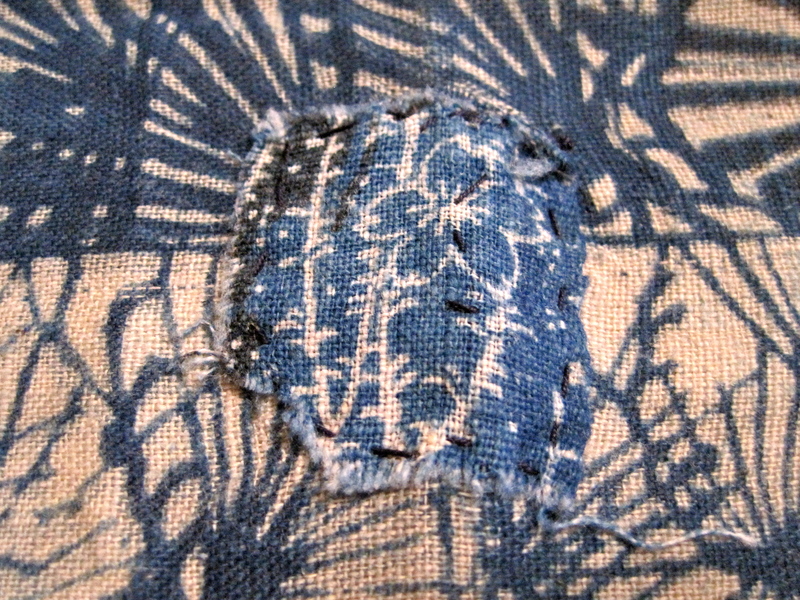 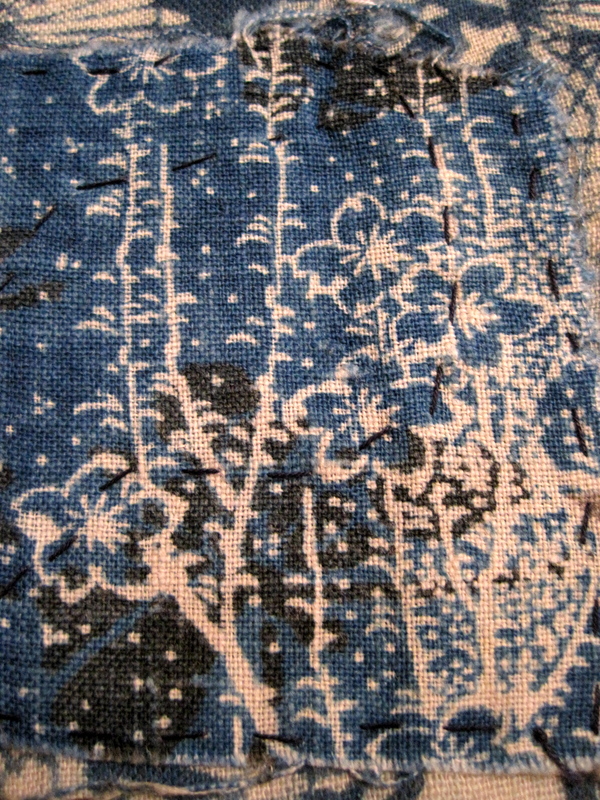 The blanket hanging behind the man in the photo is simular in construction, narrow strips of fabric, and in the use of stencil resist designs to the older blankets shown above.